DNA testing confirms that a tuft of hair left on a fence in south central Missouri belonged to a mountain lion. A man reported he saw the cat cross the road near Rover, Mo. and get caught momentarily in a barbed wire fence. Missouri Department of Conservation officials retrieved a tuft of hair the size of a cotton ball and sent it for testing. The results, released today, confirm the hair definitely belonged to a mountain lion. 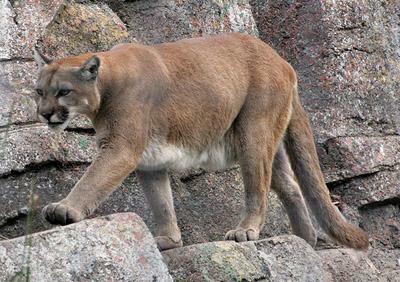 Conservation officials plan to send the hair for further testing to find out the cat’s possible relationship to mountain lions from different geographic areas. This is the sixth verified mountain lion sighting in Missouri since late November, but a conservation official says there’s no sign that the cats are breeding in the state.